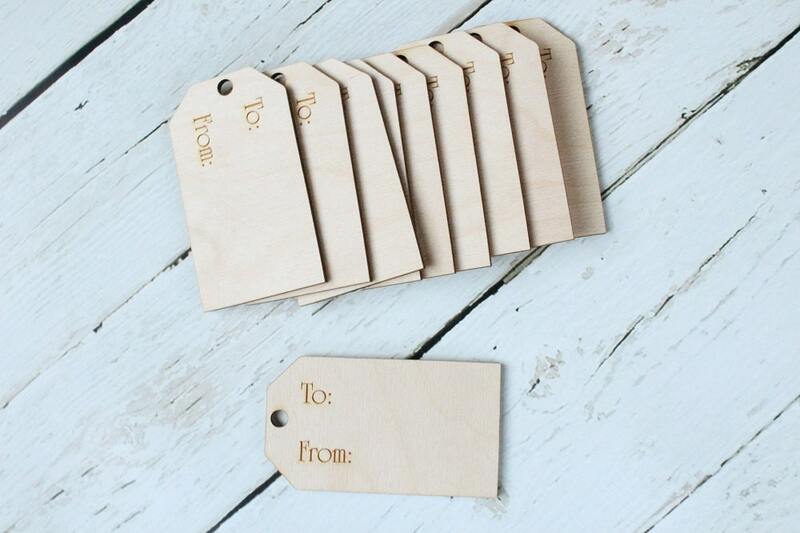 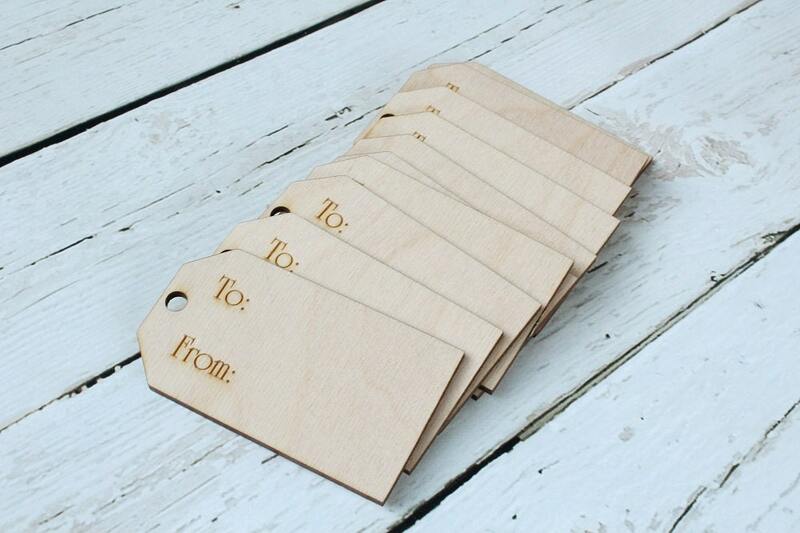 Set of (10) wood laser cut and engraved gift tags. 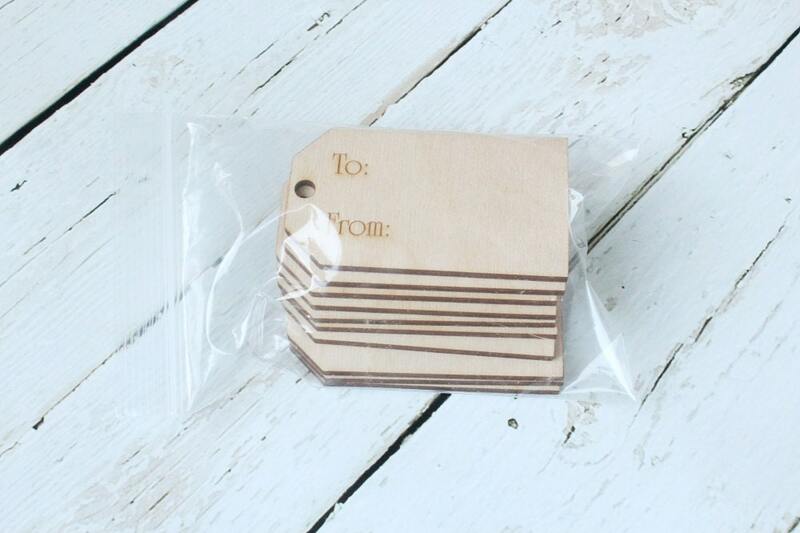 Perfect for many occasions.. You can use pen, pencil and markers to write on these tags. 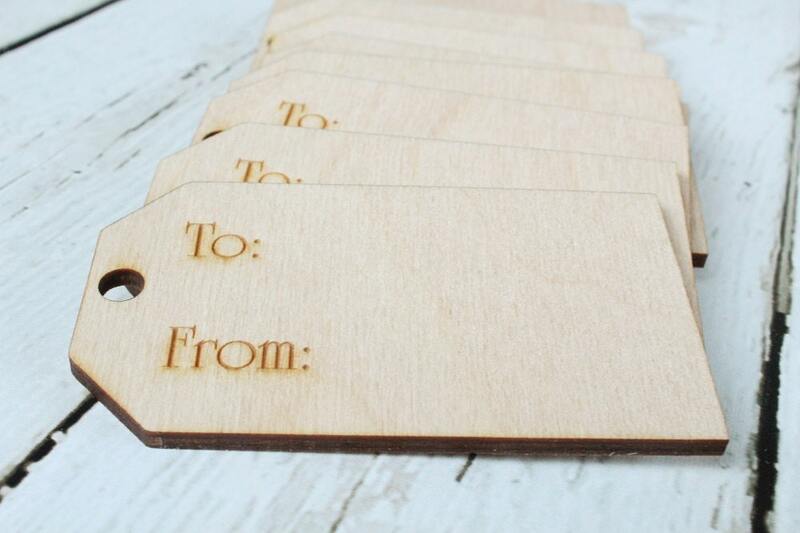 Each tag measures 3.5" long x 2" wide x 1/8" thick. 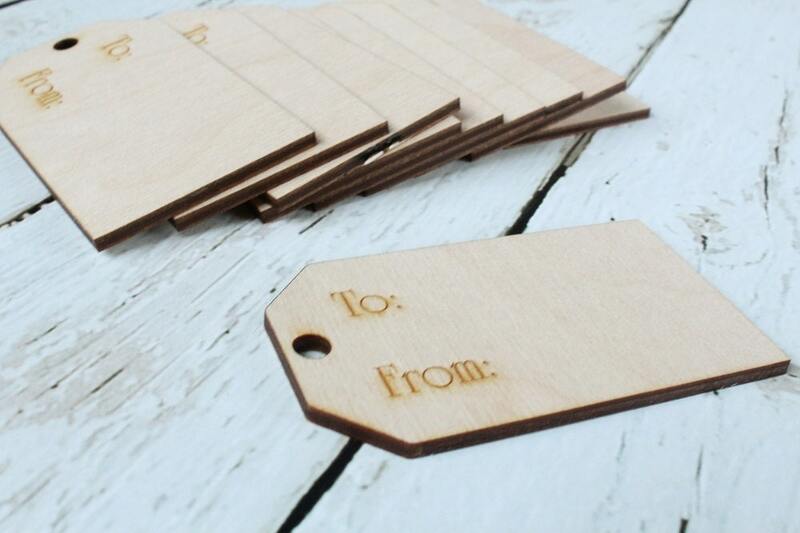 Convo us for smaller/larger tag sizes.